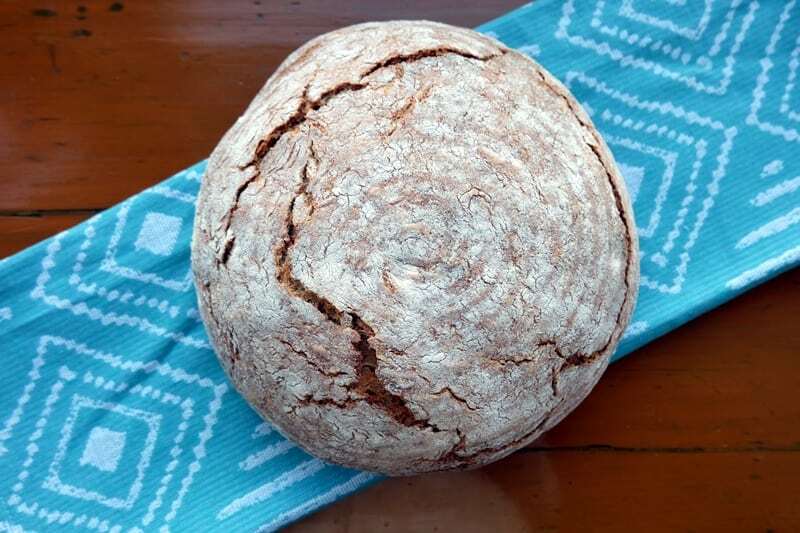 I love the flavour of malt and the sweet, fruity and slightly squidgy malt loaves which are brilliant for an afternoon snack, whether that’s at home or on a long walk with a hot cup of tea from the thermal flask. 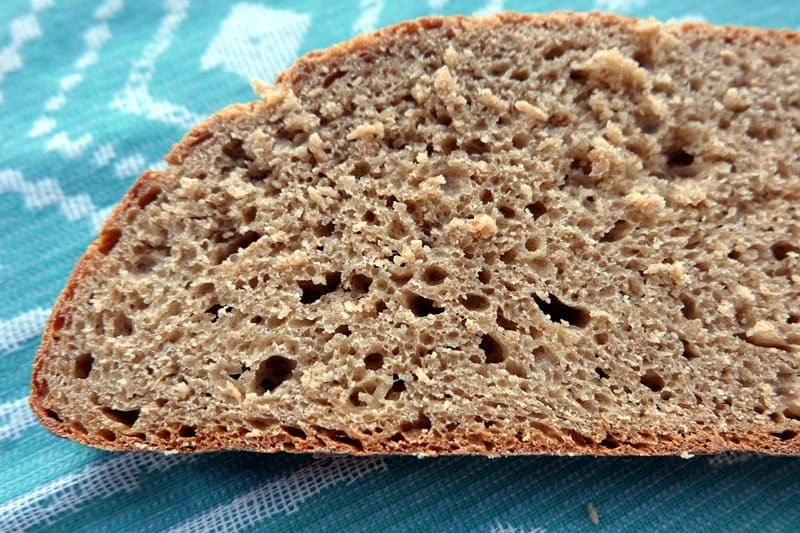 However, malt extract can also be a superb addition to a savoury loaf of bread and I wanted to share my malt bread recipe for a deliciously unique loaf. See more about using malt in baking here. Malt syrup helps the rise of the dough and adds a slight tan color to the loaf. 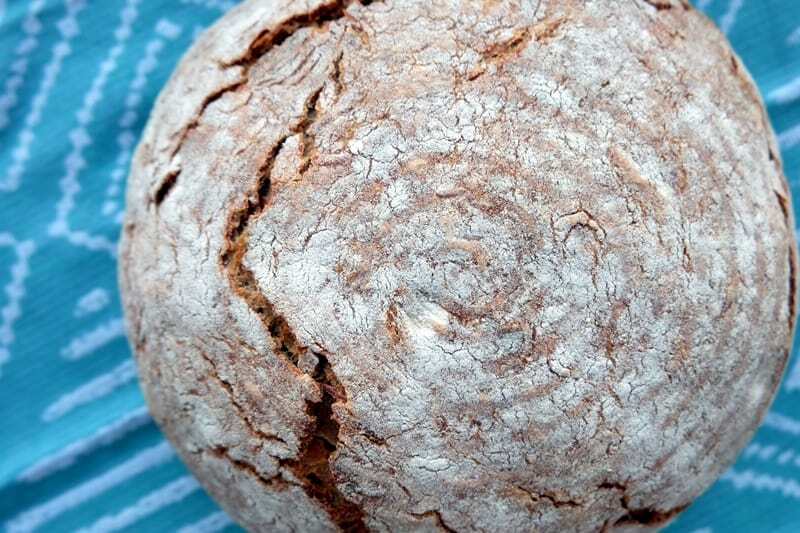 The fresh potatoes in this recipe will keep the baked loaf fresh for longer. Please note, this dough is using salt in the sourdough refreshment, so make sure you have more leftover starter in the fridge than you are using here as you will be using the full sourdough refreshment in the main dough. 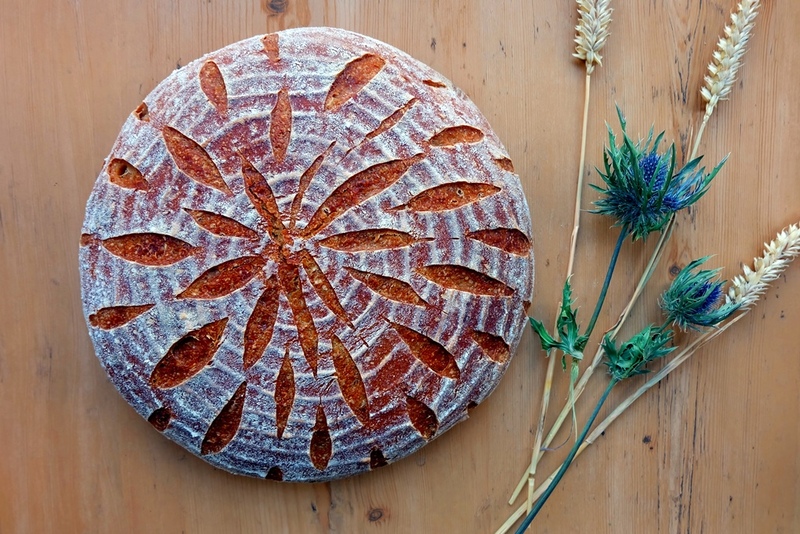 If you’d like to find out more about this salted sourdough refreshment, take a look here. Benefits include a more intensive aroma and better crumb. On day 1, prepare the Monheimer Salzsauerteig (salted sourdough) by combining the ingredients in a medium bowl. Cover and leave to rest at room temperature for 15 to 20 hours. On day 2, peel the potatoes and finely grate into a large bowl. Add the refreshed, salted sourdough (all of it), as well as all the other main dough ingredients into the large bowl. Combine to form a smooth dough. On a clean work surface, knead for 20 minutes. Place the dough back into the bowl, cover and leave to rest at room temperature for 30 minutes. Punch down the dough, shape into a loaf, cover with flour, then place seam-side up in the proofing basket. Cover with a polythene bag and leave to prove at room temperature for about an hour. Preheat the oven to 220°C (and if using a baking dome preheat this from cold at the same time). Bake for 60 minutes. If using the baking dome, take off the lid for the last 10 minutes.